Here, at last, is last week's pieced top. The fabric is Moda's Girl's Best Friend - yummy batiks. I did the pinwheels blocks, and joined them in strips. Then I joined the strips to the fleece in my Quilt As You Go method - the one that probably has traditional quilters shaking their head sadly, but works great for me [click here for instructions]. It took about 45 minutes to go from 4 strips to a pieced top! I did then decided to echo quilt each pinwheel block - except I then did one quilt line down the middle of the block instead of at the side. With normal fabric I might have unpicked, but batik isn't too forgiving, so I did the echo quilting on each horizontal and each vertical - that might teach me to concentrate! I have ordered some more of one of the pinks for a border then this will be ready! Although we had a no-work day today for the Royal Wedding, I didn't get any sewing done. The family didn't show much interest in watching the wedding, so I thought we'd have it on in the background - in the end I had a husband, two daughters, two boyfriends, and nephew and his daughter all watching the wedding, and drinking my tea!!! After lunch we then moved out into the lane for a great Street Party. 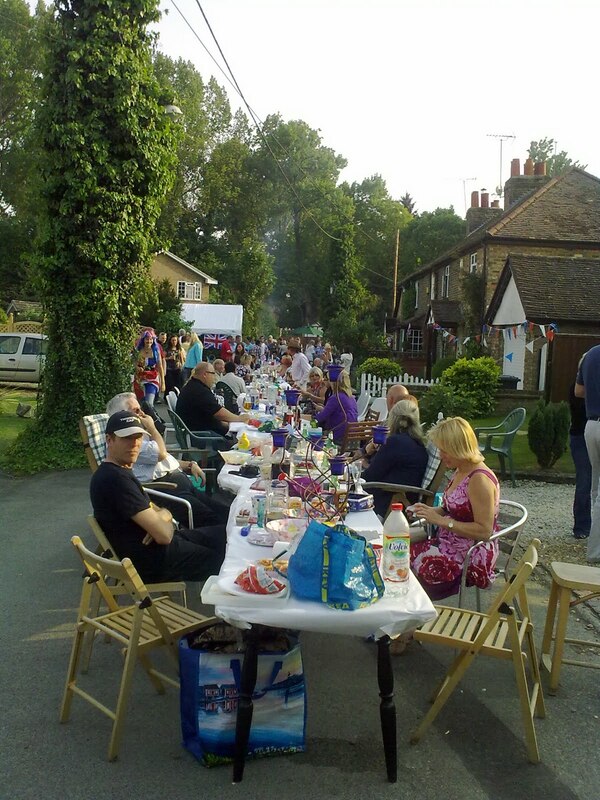 Appx 120 people in our little road, eating, drinking, chatting - having a great time! The wedding was addictive! I couldn't tear myself away! Glad your street party was a success, and the quilt top is impressive too! Hello Benta! Your quilt is so beautiful! Thank you for the tutoral! I'm sure I'll try that! The street party looks great and must be fun! 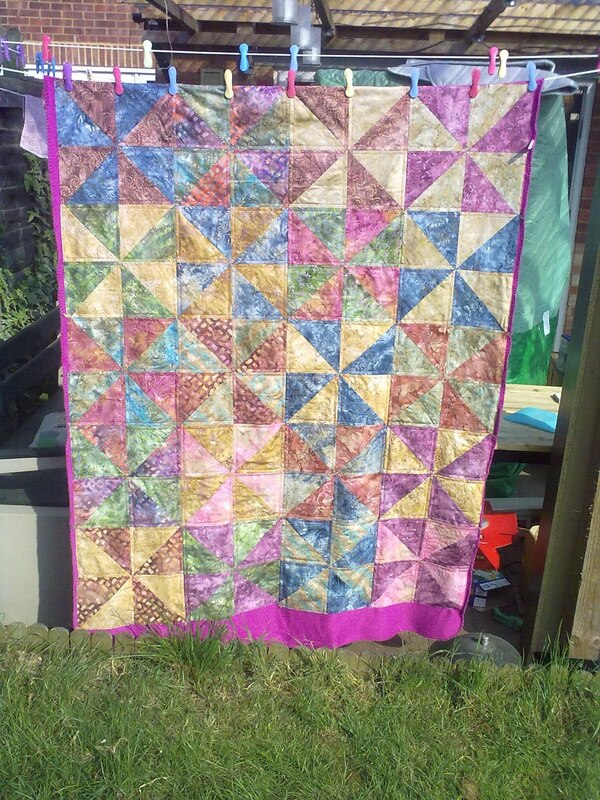 Your pinwheel quilt looks lovely!!! How wonderful that the whole country joined into the wedding celebrations. I had to work (surprise ...) but I enjoyed the pictures in the evening. We got a full hour of "the best of the wedding" ;-)) Congrats to a finished quilt top - will check out your tutorial, it sounds like a wonderful timesaver !